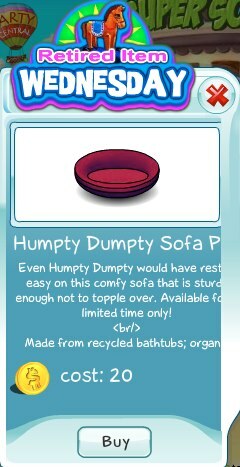 It's Retired Item Wednesday again and today we're retiring the Humpty Dumpty Sofa. If you still don't have one of those in your living room, now's the time to get one! It would only be available till midnight Wednesday, and then would never be offered again!